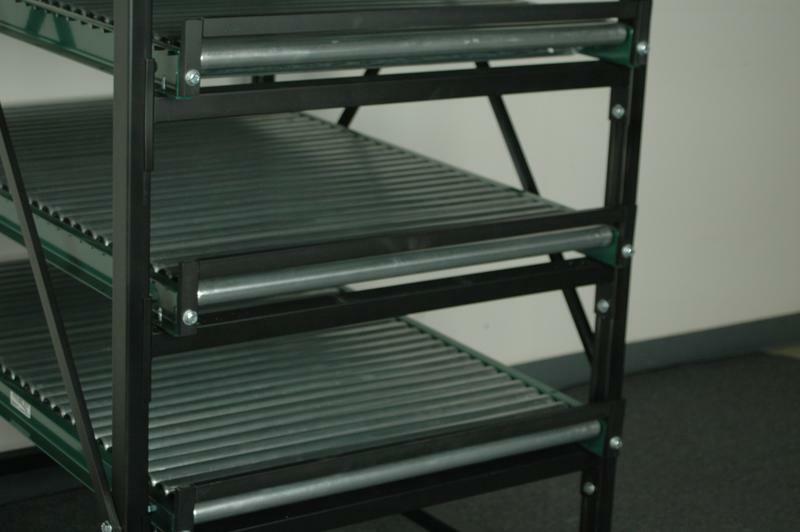 This cart is built to store heavy parts on all (4) levels of conveyor rollers. This unit is perfect for applications which require storage of heavy boxes or items that need to always be available. Rollers are spaces close together so small parts and sensetive equipment don't fall through the rollers or get banged up as they travel down the rollers. 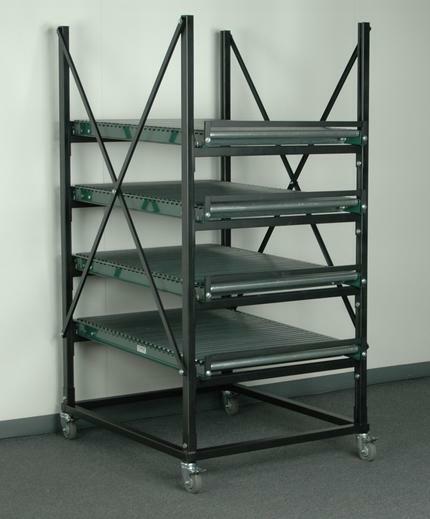 The unit has a 1200# capacity and includes (2) rigid, and (2) swivel casters for easy movement when necessary.